Whether it be celebrating the new school year or any other new beginning, the Nestlé Family website is there to lend a hand. With tons of back-to-school, nutrition, and exercise tips, as well as ideas for creating memorable family moments, it’s a fun site to explore. To help with the purchase of school supplies and other essentials, Nestlé Family is holding the Ready, Set, School Sweepstakes through the middle of October. One Grand Prize winner will receive $5,000 for themselves and a $2,000 Nestlé Literacy Grant for their chosen school. Plus, a Five-Star messenger bag filled with Mead products will be given away every day. To enter, please visit Nestlefamily.com/backtoschool between now and October 14th, 2009, and follow the on-screen instructions. You can enter once per day for the next 3 weeks! As a thank you for taking the time to learn about Nestlé Family, they’re giving one of my readers a wonderful prize – an Engage Your Children in Meal Preparation prize package. Valued at approximately $40, this package is filled with free coupon vouchers for Stouffer’s and Carnation Evaporated Milk and a collection of recipe cards for you to make delicious seasonal meals and snacks with your kids, like a Pumpkin Pie Smoothie and Baked Ziti with Pumpkin and Sausage. Yum! To enter, please visit Nestlé Family, take a look around, then come back here and tell me what you’re doing to ensure a “Happy New School Year” for you and your kids. Please leave a separate comment for each entry and leave a valid email address or blog URL in your comment. US entries only. This contest ends at 11:59 pm EST on October 1st, 2009. Winner will be chosen at random, and has 3 days to claim their prize. .-= Jeanine Peterson´s last blog ..FREE Purina Cat Food at Publix 9/24-9/30 =-. I already have your button on my site too ! I have 2 of my grandchildren living with me and I want them to be excited about school and love learning. I am going to sit with them each evening and we are going to just talk. I want them to feel comfortable talking about their day and whatever they have to say I want to really listen. If they have any problems we can work on them together. Thank you! I always made sure they had their own school supplies,never share . Each child needs their own and it makes them feel special. I bought something special for each child,knowing they would love it. I also kept a bowl on the fridge ,put pencils,erasers,colored pencils and sharperns. They could never say ,”I don’t have a pencil to do my work”,it also saves time looking for one! .-= Peggy Gorman´s last blog ..Win a 18×24” Rolled Poster Print from UPrinting.com =-. I am getting as involved as I can AT my kids schools. Helping out the teachers and just being visible and available. We are trying to institute a no whining homework routine. We are hoping that really helps because previously homework took up too much time with all the whining wtc, that it was hard to do things to get ready for the next day and then we were rushed in the morning! .-= Rebecca C´s last blog ..Giveaways – September 24, 2009 =-. I am making sure my children have a healthy breakfast before the bus, that they have all of the materials for the school work and get plenty of sleep at night. We have several resolutions: read together daily, eat healthy meals, and have fun outside anytime! .-= Dina´s last blog ..Giveaway and Review: Livie & Luca Shoes (10/15) =-. “Helping kids manage their homework and develop strong learning habits.” *Thanks* for the giveaway! I have been choosing healthy lunch items. We got a family calender and things to do list to ensure we get all our task complete on time. I am trying to keep to a routine and make sure my daughter gets plenty of rest. .-= Ann´s last blog ..Music Album Downloads for $5 each! =-. I am trying to get my son excited about reading, so we read everyday and I also have been buying many books from the scholastic book orders. I want my kids to feel happy about learning, and unstressed..I think about the pressures of school I had and do not want my kids to be pressured about grades and stressed, etc. School is for learning yes, but its also about making friends, learning how to organize and figure out what you want to do in life. I’m making sure I have time to sit with them each evening at a non-stressful time to work with them and their homework. I’m making sure we read more as a family. I teach at my kids high school……so everyday I try to make it a great day for them. They have comfort in knowing I’m in my room and they can stop by anytime they need to. .-= wanda´s last blog ..5 Things I love about my Pastor =-. I am involved in my son’s school by volunteering to work in the College Room, where we help the older students with their college related questions. I have a grandchild in kindergarten this year.Her parents are spending lots of time at school to make sure all is well. We go visit them at school for lunch. WE IMPLIMENTED AN EARLIER BED TIME, AND I PRE MAKE AND FREEZE PANCAKES TO ASSURE MY DAUGHTER GETS A HOT BREAKFAST EVERY MORNING! I homeschool our three kids and I am ensuring that they have a “Happy New School Year” by making sure that they have plenty of free time for play and being outdoors, in addition to their studies. My daughter is going through puberty! i’m teaching her that’s it’s okay to be cranky and sad somedays. now Following Mariana on Twitter! We make sure homework is done before they go out to play…that way, there’s no stress of trying to get it done at the last minute! I’m making sure that everything is organized and prepared the night before school. We get lunches ready, clothes ready, go through each backpack and check for homework, etc. and any notices. I became highly organized this year and insist that showers and baths are done the night before, and that lunches and backpacks are filled, as well as forms signed, money gathered, basically anything that needs doing is done the night before, including setting the breakfast table. My husband and I also make sure the kids eat well in the morning, last year there were too many grab and go breakfasts. I make sure everything is well organized in and out of the house, schedule, school supplies, meals…etc.so we can enjoy a happy new school year! making sure they get a good breakfast. I am gonna make sure my son does his work if I have to sit on him! Early bedtimes are helping make better moods! I am ensuring a good year for us by getting up early to prepare healthy breakfasts for the kids! For a Happy New School Year, I’ve been working on raising our self-esteem! I make little cards, decorated with pics or stickers or decals or glitter glue, and writing positive affirmations on them. For me, I post them in strategic place, like the fridge, cupboard doors, mirrors, etc. For my kidlets, I hide them in their lunch boxes, pockets, shoes, school books, anywhere that will surprise them and make them feel good about themselves! To make sure my son gets all he needs. Our situation is a bit different, because we homeschool. We wanted the flexibility and the control over what our children are learning and being taught. Most parents have no idea what is even in school text books. If they did, they probably would be very concerned. We have created a School station. It is where we keep all paperwork,coats,shoes,backpacks,lunchbags,etc… so it is all in one place. It has been wonderful. Thanks for the chance. My daughter is being homeschooled for preschool and I’m making sure to have plenty of fun activities to do with her each day. .-= Kristie´s last blog ..Potty Time Tuesday: Round Two =-. Keeping school supplies available and organized. Try to organize the backpack every day after school and before homework. My children are grown but I help my grandson with learning how to read. 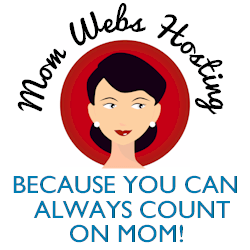 .-= Janet F´s last blog ..Winners: Hostess CupCake Giveaway =-. I have been keeping plenty of healthy snacks on hand. We’re going to do lots of school-type activities at home to encourage lots of learning! We use a homework routine–same time, same place, etc. My kids are getting too old to appreciate the hugs & kisses and kind words of encouragement – they are 15 and 17! So, we are supportive in the “not so obvious” ways – nutritious meals to get them through the year in good health, attendance at school events, listening to their stories about school, offering advice, etc. I bought my son a brand new laptop for school this year, he is so happy! Thanks for the chance! Continuing our nightly family dinner time to discuss the school day. we live 9+ hours from my niece/nephew, and my niece just started her first year of school, so we got my sister to take pictures, have her call us, take video – everything – so that we can feel like we’re there with her an dvise-versa. SHe keeps us informed of how her week went and whta projects she’s doing. We are trying to become more organized so school mornings are less hectic. We are also trying to make healthier lunches. We shopped for school supplies together. I like them to choose the styles and colors they want. Its a reflection of their personalities. I also help with homework. I volunteer my time at my daughter’s school. .-= Lois Shores´s last blog ..Enter To Win A Warm Mouse =-. We’re making sure to attend every possible school event, meeting and gathering to stay in touch with what is going on. To make this the best school year ever, I’m making sure to always be ON TIME! It’s hard, but makes the whole day easier for everyone. Having a positive attitude and setting everyone at ease to be relaxed about it. Well, my kids aren’t old enough for school yet, but I’m working hard to read to them a lot, and work hard on them learning their numbers and ABC’s. Making sure that homework gets done at a reasonable time and not at the last minute. I sit with my son everyday&talk about school&do homework with him! I have the schools website as a favorite and have already emailed my childrens teachers to let them know I am involved. I am also volunteering at various activities within their schools so I can be as present as possible. I take time everyday to ask them about the day, homework, friends, extracurriculars, and anything else they want to talk about. Luckily I am able to give them both 1:1 for privacy as well as giving them their time to be in the SPOTLIGHT. To be more involved in my childrens’ school. Everyday after school, we are spending time together working on homework to make sure it gets done, and the lesson is learned. Also, we are taking vitamin C to try to prevent from getting sick! I think its important to take a daily walk with your child in the evening, and talk about school that day. Answer questions, and just gain an interest in your childs life. To ensure a happy school year, we are trying to stay organized. I made an appointment to meet with her teacher. I want to make it clear that I am willing to do what it takes to help her have successful year. I’m taking the teacher a “care” package of tissues, antiviral wipes, hand sanitizer, pencils and notebookes. .-= Cynthia Shern´s last blog ..Win a custom pet sign =-. We get everything ready the night before to avoid the morning rush. Also make sure everyone eats a good breakfast. Thank you for the giveaway. What a great site, I’m bookmarking it! Mornings can be hectic in our house because, my kids just don’t want to get ready or out of bed for that matter, lol. Bedtime is between 8-9pm each night and they get up at 6am with an hour to get ready. I try to have clothing and bathing done the night before to save time in the mornings. My kids normally eat breakfast at school unless they aren’t serving it that day so I get snacks ready to take while they get dressed. When they come home from school, I have them sit down and do homework so that they will have extra time to do whatever after they are done. We then spend the time outdoors if the weather is nice or inside until it’s time for me to cook dinner. .-= Michele C´s last blog ..Wordless Wednesday =-. We are planning ahead and being very organized. Thanks! i want to become more involved in school activities and homework. I make sure my kids get a good night sleep before school and have a healthy breakfast in the morning. We’re being more particular about our diet, making sure that we’re all enjoying foods that help us learn/work and play. I like to make sure my daugher heads out with a good breakfast and has packed a healthy lunch to get her through the day. We switched to school bedtimes several weeks before school started so the kids weren’t cranky the first few weeks. .-= Sonya ´s last blog ..New Winner Posted for 9/28! =-. I plan to have more dinners at the dinner table so we can bond as a family for the majority of each weeknight. We homeschool and are going to do more field trips!! I have started making sure the kids bags and lunches are packed the night before and their clothes laid out in the bathrooms so there isn’t so much craziness in the mornings when we are heading out the door. We resolve to make healthier choices and make sure that there are always healthy options available. I just make sure things are done the night before. All the homework, supplies, etc in the backpacks at night. It makes it so much easier than running around in the mornings. I try to pack more healthy lunches. .-= Donna K´s last blog ..Nature Valley Granola Nut Clusters Review =-.